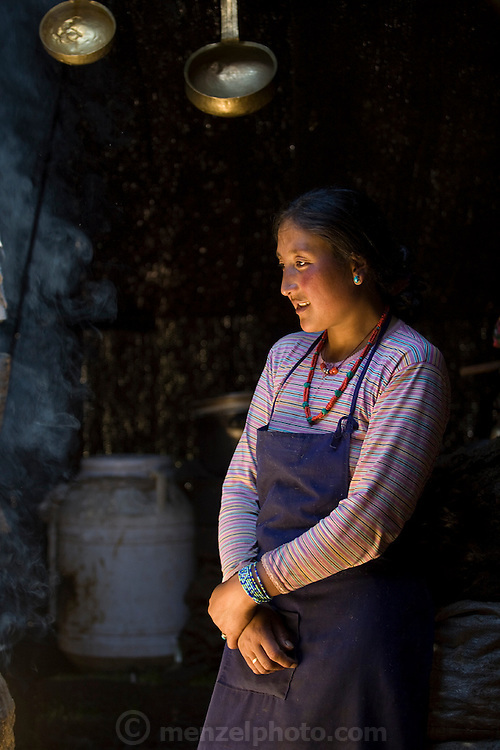 Nomadic yak herder Karsal's wife Phurba in the kitchen of their home in the Tibetan Plateau. (Karsal is featured in the book What I Eat: Around the World in 80 Diets.) MODEL RELEASED.